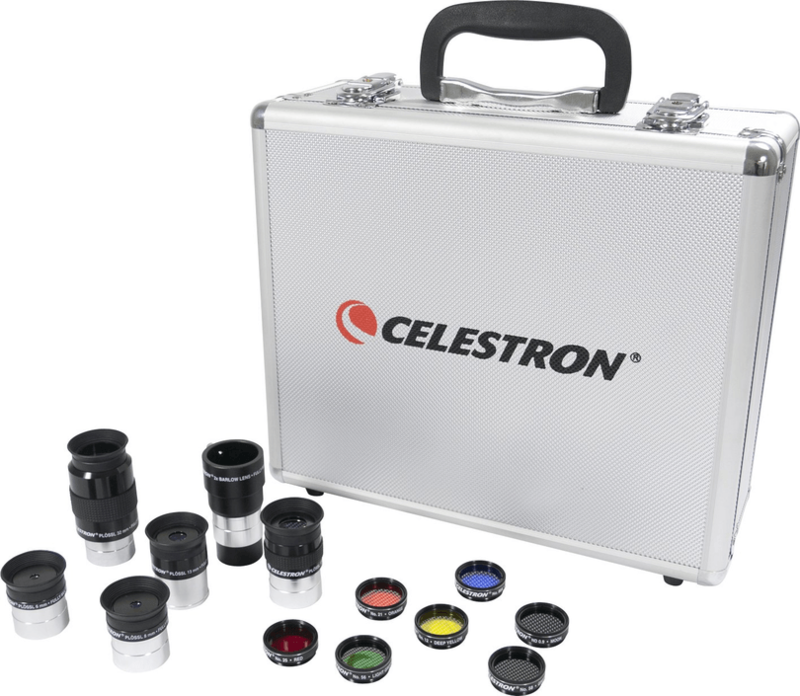 Celestron eyepiece and filter kit consists of, among others, five fully multi-coated 1.25 inch Plössl lenses for maximum contrast and resolution. You can use the supplied Barlow lens (2x magnification) in combination with these lenses. Thus, you are able to select ten different magnifications! No fewer than six "planet filters" are supplied, which show you details of a number of planets you would normally not be able to see. The moon filter shows you details of the moon (particularly during bright periods) you would never be able to see with a normal lens. All lenses and filters are supplied in a strong case. Write a review By sharing your experience with the Celestron eyepiece and filter kit 1.25", you can help others (perhaps still doubting customers) with making a good choice.